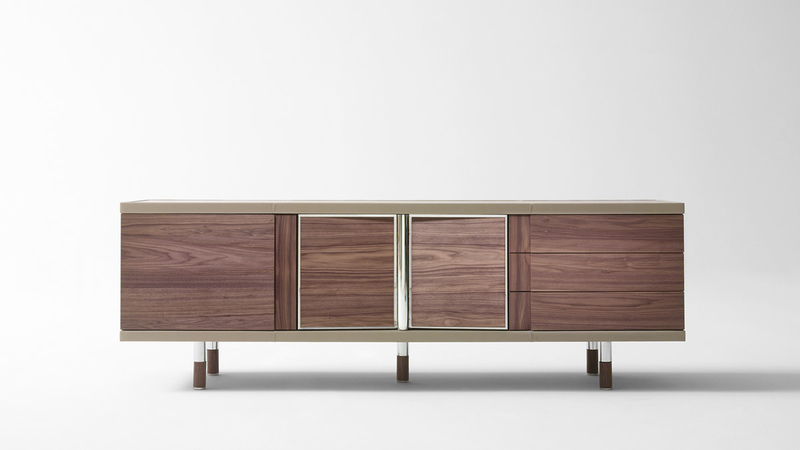 Sideboard with structure and top in canaletto walnut or shiny ebony with edges covered in leather. Side spaces with door and drawers. 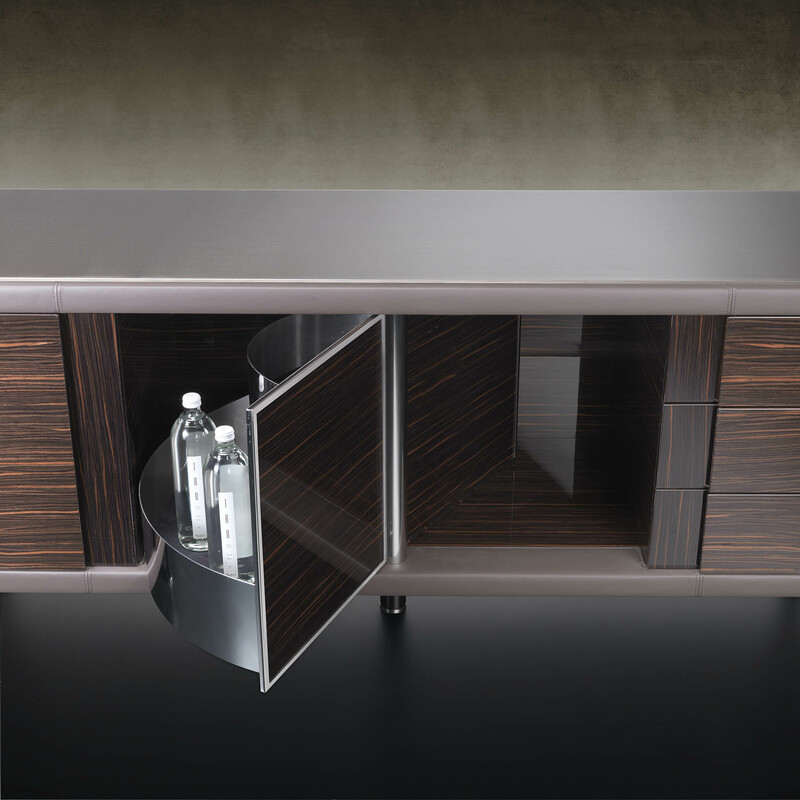 Central unit with tourning basket with bottle-stand. Top in etched lacquered glass finish,marble or in mesh glass finish. Legs in steel and wood.